Delaware Attorney: Nathan V. Gin | Elzufon Austin & Mondell, P.A. Nathan V. Gin is a Director in our Workers’ Compensation Defense Department. Prior to joining the firm, Nathan served as Judicial Law Clerk to the Honorable Susan C. Del Pesco in New Castle County Superior Court in 2007. Nathan was born in Hudson, Wisconsin on December 6, 1979. 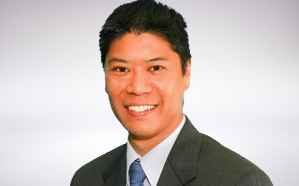 He has worked in Washington, D.C. and Hong Kong prior to settling in Delaware. He was admitted to practice in the State of Minnesota in 2007, the State of Delaware in 2008, and the U.S. District Court for the District of Delaware in 2009. Nathan graduated from Carleton College with a B.A. in 2002 and from William Mitchell College of Law with his J.D. in 2007. Member of the Delaware State Bar Association, the Minnesota State Bar Association and the National Asian Pacific American Bar Association, the Randy J. Holland Workers’ Compensation Inn of Court.